Go home Colorado weather, you’re drunk! One day it is 60 degrees out and the next it is snowing and my fingers feel like they might break off while I am scraping off the snow on my windshield. I know, I know, this is typical- the weather changes all the time here but man oh man this has just gotten crazy! 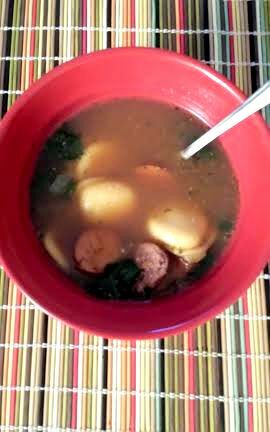 Anyhow, on one of the particularly cold and snowy days I decided to come home and make some soup. I had found some turkey sausage on sale at the store and decided to work off that. So here it is! If you are using regular pasta- quinoa or whole wheat whatever your choosing: Cook your pasta as directed on the box- I leave mine just a bit under cooked because you will be adding it in at the end and bringing it all to a boil. If you are using tortellini that are refrigerated or frozen you will add the tortellini in at the end so no need to cook before hand. Heat oil over medium-high in a pan. 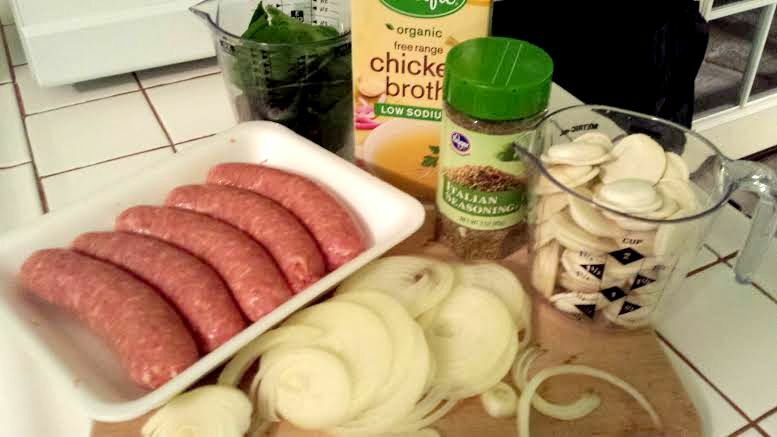 Add sausages and cook, make sure to roll your sausages over occasionally until they are browned all over. 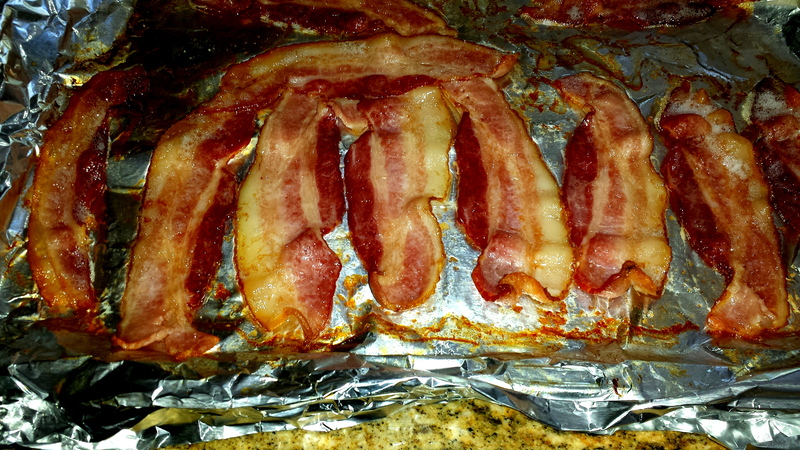 Take them out and place them on a paper towel to remove the excess grease. 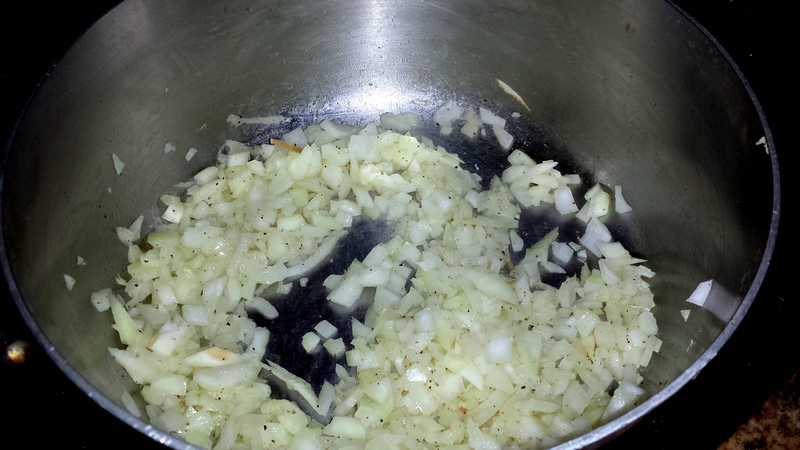 Add your onion to a pot and cook over medium heat until softened, usually about 5 minutes, scraping up any browned bits. Add your garlic and cook for about 30 seconds. Stir in broth and seasonings, and bring to a boil. Slice sausage to desired thickness and add back to the pot. Stir in the pasta and simmer gently until your pasta is completely tender. Stir in spinach mix and cook until just wilted. Season with a little salt and pepper to taste. Now spoon into your bowls and enjoy. Side note- this ended up reducing quite a bit so if you plan on feeding more than 4 people I would double up on the recipe. 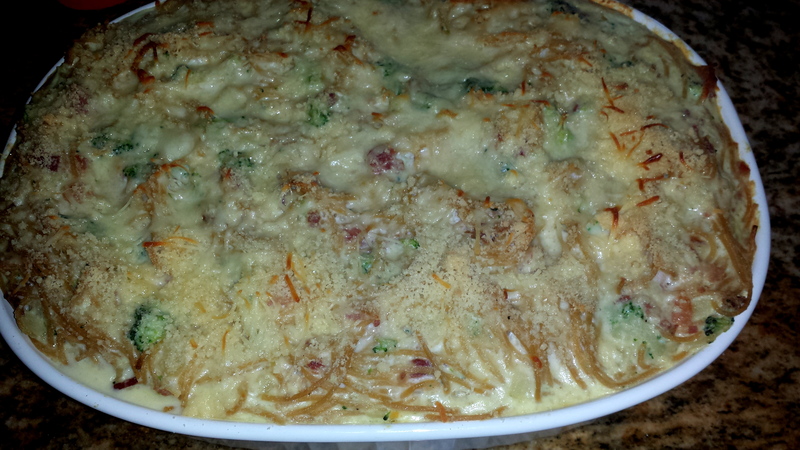 Everything should have bacon- Spaghetti Pie! A while back I was going out of town for a few days and I wanted to leave an easy meal that Jake could pop into the oven and reheat. Jake is a good cook on his own but if he can he will typically grab a frozen pizza and throw that in. So I decided to try my hand at a spaghetti pie. My brother in-law Trevor, his mom makes a mean spaghetti pie, in fact she is pretty famous for it. So what I decided to do was reach back into my memory and think of how I thought she might make hers and of course put my own twist on the recipe. 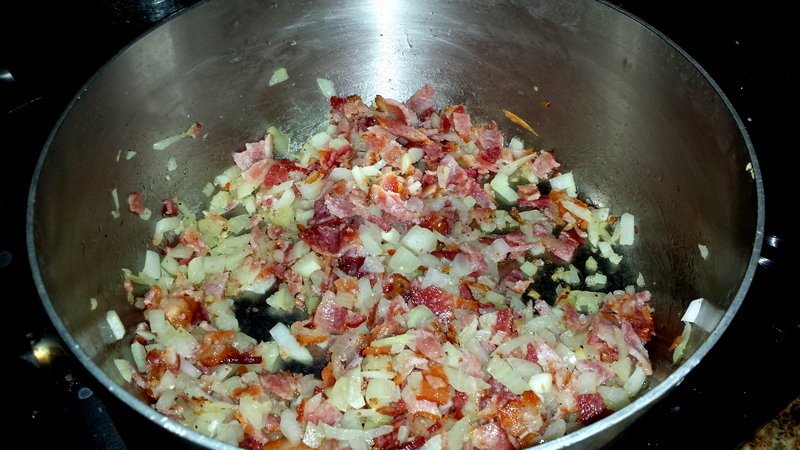 Next in the same pan add your onions and cook until they become translucent on low heat. While onions cook in a large bowl whisk your ricotta cheese, eggs, milk, cayenne pepper, half of the Parmesan and your salt together. 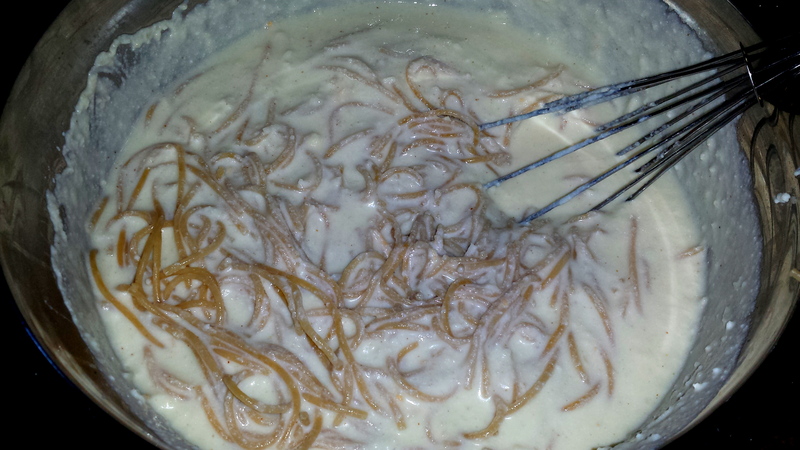 At this point you will be ready to mix your cheese mixture and your pasta. 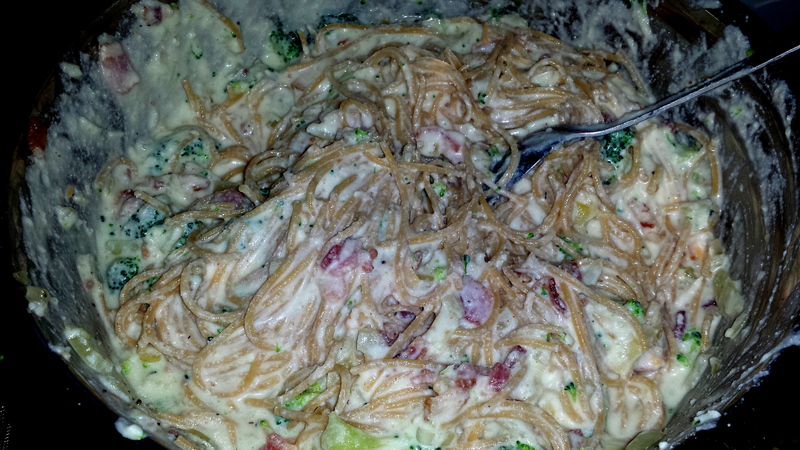 Drain your pasta well stir in your ricotta mixture with your pasta fold in your bacon and onion mixture and your broccoli. Once your mixture is well combined spread it evenly in a baking dish. Sprinkle the remaining parmesan and the Italian cheese if you choose to use it on top. I also added a little salt and pepper to the top. Now just dig in and enjoy! The nice thing about this recipe is that you can easily put this spaghetti pie together, bake it and then freeze it which is what I did when I went out of town. You then just pop it in the oven at 400 or so for about 20 minutes and you have dinner all set. 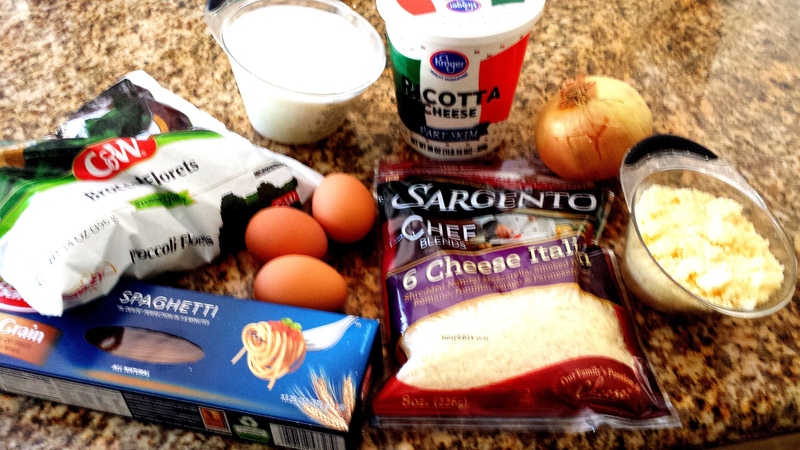 This blog usually consists of my food and twists on recipes. 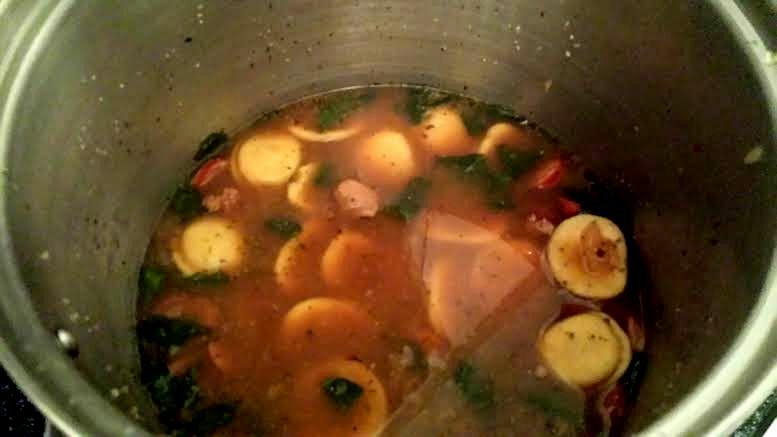 Today I am simply posting a picture of a lovely soup that I got to share with my fiancé on the day we got back from a trip to my family’s cabin to celebrate the new year. 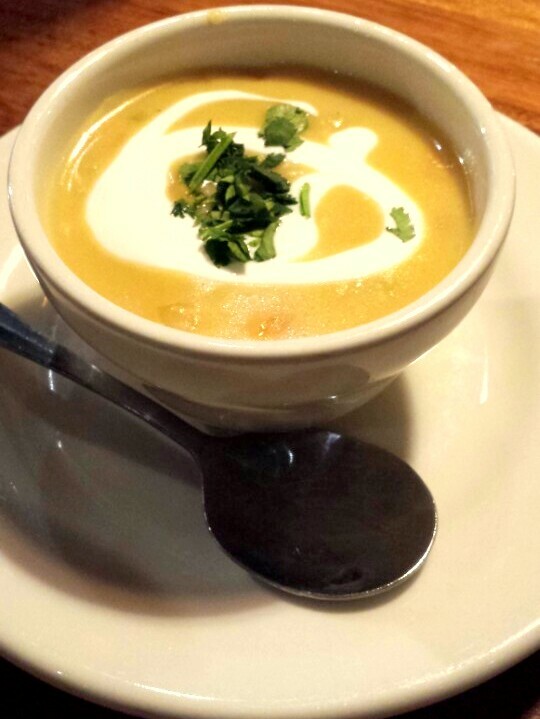 Why am I posting a picture of this soup you may ask? Well the truth is it was delicious. It was a beer, cheese and ham soup that hit the spot after a cold weekend in the mountains. Not only was the soup delicious but I got to have a great conversation with the man I love and will be spending the rest of my life with. The year 2013 wasn’t always perfect; in fact parts of it were really hard. There were moments in which I felt like throwing in the towel. Jake and I were stuck living in an apartment with a terrible neighbor, which can really test a relationship and your sanity more than you think. We both felt tight in our financial situations. Jake and I had to learn to work with each other in many ways. Through all of it, we stuck together. We always knew that we had to be a team and we knew that if we continued to help one another we could make it through anything. In April we finally moved out of our apartment and in with my parents. We started a whole new adventure. We began to save up money to buy our own home. My parents welcomed us with open arms! Living in close quarters is a testament to who my family is. We drive each other crazy but we love each other unconditionally and I am so lucky that my parents love Jake just as much as I do. They have taken him in as their son. My parents love him so much that they gave him permission to ask for my hand in marriage on August 3, 2013! I so graciously and excitedly accepted! After three years of dating and me not so patiently waiting for those words to come out of his mouth he slipped a gorgeous ring on to my left hand! So it began, we spent the next few months more seriously house hunting. We thought we had found the perfect home, we were about to sign a contract on Wednesday evening and on that very morning I was laid off from my fantastic job. I lost the job that as journalism and communications student I could not have been more blessed to have. I cried, I felt defeated and a lot of other emotions that I didn’t even know I had. Although the layoffs was due to budget cuts I felt I had done something wrong. I felt that I was inadequate and that I was not smart enough at times. I looked to my dad for guidance, he has been through a similar situation and he talked me through the low points, he helped me get back on my feet- he is good at that-my mom is good at that-my whole family is good at that. Due to the job loss we lost the home we wanted. It was hard, we again cried and we were upset. Jake held me up, he helped me to see that the right time would come and that he would be there no matter what. He was there, even when I was mad for no reason, he was there. We knew and still know that everything happens for a reason. God has plans and we are learning that more and more each day. We continued to search for a home as I looked for a new job. Thanks to a close family friend I was able to start working for a new company and feel settled enough to begin the home search and feel confident that everything would work out. On December 20th we closed on our perfect home. We received a wonderful Christmas present. With the help of our families and friends and the support they have given us we made it through 2013. We know we will again make it through 2014. So as we sat and had dinner and talked about our trip and the New Year and ate some really good soup I couldn’t help to think how lucky I am. I am blessed to have the man sitting next to me, talking to me about how many kids we will have some day and the next fix we need to make to our home. The family I have, no matter how crazy we can get- they are always there to support me. The family I will gain on September 27, 2014 when Jake and I are married that has accepted us and cheered us on.